Cartwright A. None of Us Could Have Been Against Consolidation in Principle. A Short History of Market and Policy Failure in Central Eastern Europe. In: Dawson AC, Laura Zanotti, Vaccaro I, editors. Negotiating Territoriality: Spatial Dialogues Between State and Tradition . New York: Routledge; 2014. p. 65-79. (Routledge Studies in Anthropology). N L, A B, K D, R K, S L, Pető A, et al. Editorial introduction. In: Writing Academic Texts Differently. Hoboken: Taylor and Francis; 2014. p. 1-13. Betegh G. Pythagoreans, Orphism, and Greek Religion. In: Huffman C, editor. A History of Pythagoreanism. Cambridge: Cambridge University Press; 2014. p. 149-66. Weberman D. McDowell aus der Sicht der Hermeneutik. In: Barth C, Lauer D, editors. Die Philosophie John McDowells. Muenster: Mentis Verlag; 2014. p. 263-82. Csaba L. Nowa ekonomia polityczna na rzecz rozwoju. In: Kolodko GW, editor. Zaradzania i polityka gospodarcza dla rozwoju. Warszawa: Poltext; 2014. p. 343-61. Budek T, Farkas K. Which Causes of an Experience are Also Objects of the Experience? In: Brogaard B, editor. Does Perception Have Content? Oxford, New York: Oxford University Press; 2014. p. 351-69. Székely I. Archivos, archivistas, paradigmas archivísticos: desafíos en la sociedad de la información. In: Torres N, editor. Hacia una política integral de gestión de la información pública. Todo lo que siempre quisimos saber sobre archivos (y nunca nos animamos a preguntarle al acceso a la información). Buenos Aires: CELE, Universidad de Palermo; 2014. p. 171-83. Zimmermann S. A Struggle over Gender, Class, and the Vote. Unequal International Interaction and the Birth of the “Female International” of Socialist Women (1905-1907). In: Janz O, Schönpflug D, editors. Gender History in a Transnational Perspective Networks. Biographies, Gender Orders Edited. New York: Berghahn Press; 2014. p. 101-26. Huoranszki F. Erkölcsi érvek és racionális döntés . In: Kelemen J, editor. Normák, cselekvés, társadalom. Orthmayr Imre hatvanadik születésnapjára. Budapest: Eötvös Kiadó; 2014. p. 83-93. Schneider CQ. Makro-Qualitative Verfahren. In: Kollmorgen R, Merkel W, Wagener H-J, editors. Handbuch der Transformationsforschung. Berlin: Springer; 2014. p. 221-9. Moles A. Political Obligation, and the Site and Scope of Justice’. In: Dainton B, Robinson H, editors. The Bloomsbury Companion to Analytical Philosophy. London: Bloomsbury; 2014. p. 500-22. Weberman D. On the Idea of Overcoming Epistemology. In: Gens J-C, Olay C, editors. Charles Taylor: Interpretation, Modernity and Identity. Argenteuil, France: Le Cercle Herméneutique Éditeur; 2014. p. 135-49. Siefert M. Meeting at a Far Meridian: American-Soviet Cultural Diplomacy on Film in the Early Cold War. In: Babiracki P, Zimmer K, editors. Cold War Crossings: International Travel and Exchange in the Soviet Bloc, 1940s-1960s . College Station, TX: Texas A & M press; 2014. p. 166-209. Várady T. On Harold Berman, Law, Language, the Tower of Babel and Pentecost . In: Berman HJ, Witte J, editors. Law and Language Effective Symbols of Community. Cambridge University Press; 2013. p. 163-85. Moles A. Liberális semlegesség, legitimitás és autonómia. In: Lehetséges: Kis Jánosnak tanítványaitól. Bratislava: Kalligram; 2013. p. 85-108. Krstic T. The Ambiguous Politics of “Ambiguous Sanctuaries”: F. Hasluck and Historiography on Syncretism and Conversion to Islam in 15th - and 16th-century Ottoman Rumeli. In: Shankland D, editor. Archaeology, Anthropology and Heritage in the Balkans and Anatolia: The Life and Times of F. W. Hasluck. Vol 3. Istanbul: ISIS Press; 2013. p. 245-62. Glass C, Fodor E. Command Economies. In: Smith V, editor. Sociology of Work: An Encyclopedia . Vol I. Davis: Sage; 2013. p. 103-6. Bőgel G. A szirén dala. In: Veszelszki Á, editor. A világhálóba keveredett ember. Budapest: ELTE Eötvös Kiadó; 2013. p. 15-21. Goldthau A. 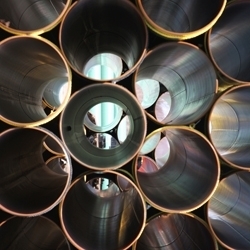 The politics of natural gas development in the European Union. In: Center HB, Rice University BI, editors. Geopolitics of Natural Gas. Cambridge, MA: Harvard University; 2013. p. 1-43. Calian FG. ’Clarifications’ of Obscurity: Proclus’ Reading of Plato’s Parmenides. In: Obscuritas in the Middle Ages. Krems: Institut für Realienkunde des Mittelalters und der frühen Neuzeit; 2013. p. 15-31. Huoranszki F. Free Will. In: Dainton B, Robinson H, editors. The Bloomsbury Companion to Analytic Philosophy. London: Bloomsbury Publishing; 2013. p. 415-31. Pető A. A női háborús bűnösök ügyvédjei. In: Katalin M, editor. Társadalom – demokrácia – szolidaritás. Budapest: L'Harmattan Kiadó; 2013. p. 158-65. Pető A. Historicizing Hate: Testimonies and Photos about the Holocaust Trauma during the Hungarian post-WWII Trials. In: Leydesdorff S, Adler N, editors. Tapestry of Memory. Evidence and Testimony in Life Story Narratives. New York, London: Transactions; 2013. p. 3-19. Matei L. The flow of global talent: trends and impact in the countries of Central Europe. In: Kent JD, editor. Graduate education for global career pathways. Washington: Council of Graduate School; 2013. p. 19-25. Várady T. Választottbírói semlegesség és pártatlanság a XXI. Században. In: Nochta Tibor, Fabó Tibor MM, editor. Ünnepi Tanulmányok Kecskés László Professor 60. Születésnapja Tiszteletére. Pécs: Pécsi Tudományegyetem Állam- és Jogtudományi Kara; 2013. p. 561-73. Pető A. How to Use the Shoah Foundation’s Visual History Archive for Teaching at the Graduate Level: a Methodological and Theoretical Reflection. In: Kovács A, Miller M, editors. Jewish Studies at the CEU. 2009-2011 . Vol VII. Budapest: CEU, Jewish Studies Project; 2013. p. 205-11. Szalai J. A Voice To Be Heard: Citizenship Rights and Political Participation of the 'New' Poor in Contemporary Democracies. In: Farrell G, Oliveri F, editors. 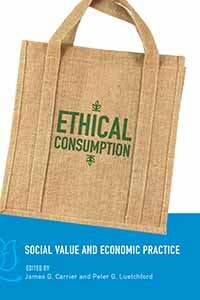 Towards a Europe of Shared Social Responsibilities: Challenges and Strategies. Strasbourg: Council of Europe; 2013. p. 131-56. (Trends in Social Cohesion). Sándor J. Débats juridiques et éthiques sur la vie digne et sur l’euthanasie en Hongrie. In: Randhawa G, editor. Les proches et la fin de vie médicalisée. Bruxelles: Bruylant; 2013. p. 221-31. Sándor J, Varjú M. The Multiplicity of Norms: The Bioethics and Law of Stem Cell Patents. In: Webster A, editor. The Global Dynamics of Regenerative Medicine: A Social Science Critique. Basingstoke: Palgrave Macmillan; 2013. p. 169-93. Betegh G. Socrate et Archélaos dans les Nuées. Philosophie naturelle et éthique. In: Laks A, Saetta-Cottone R, editors. Comédie et philosophie : Socrate et les présocratiques dans les "Nuées" d'Aristophane. Paris: Éd. Rue d'Ulm; 2013. Sándor J, Frunza M, Demény E, Ioan B. To share or not to share your door status on Facebook. In: Randhawa G, Schicktanz S, editors. Public Engagement in Organ Donation and Transplantation. Lengerich: Pabst Publisher; 2013. p. 27-36. Farkas K. Constructing a world for the senses. In: Kriegel U, editor. Phenomenal Intentionality. New York and Oxford: Oxford University Press; 2013. p. 99-115. Fumagalli M. Instabilita' politica e nazionalismo delle risorse in Kirghizistan. In: Torri M, Mocci N, editors. Rallentamento dell'economia e debolezza della politica in Asia. Bologna: Emil di Odoya; 2013. p. 99-112. Pető A. Mentoring in Science: a Difficult Experiment. In: Tánczos J, editor. Women Up! Political, Business and Academic Perspectives on Women’s Representation. A Transatlantic Gender Dialogue. Brussels: FEPS; 2013. p. 129-37. Sándor J, Besirevic V, Demény E, Florea GT, Codreanu N. Organ Trafficking, Organ Trade. Recommendations for a More Nuanced Legal Policy. In: Ambagstsheer F, Weimar W, editors. The EULOD Project Living Organ Donation in Europe Results and Recommendations. Lengerich: Pabst Publisher; 2013. p. 147-75. Fumagalli M. Voice, not Democracy: Ethno-politics, Civil Society and the Search for Political Space in Central Asia. In: Cavatorta F, editor. Civil society activism under authoritarian rule : a comparative perspective. New York: Routledge; 2013. p. 94-110. (Routledge/ECPR studies in European political science). Goldthau A, Hulbert M. Natural Gas Going Global? Potential and Pitfalls. In: Goldthau A, editor. 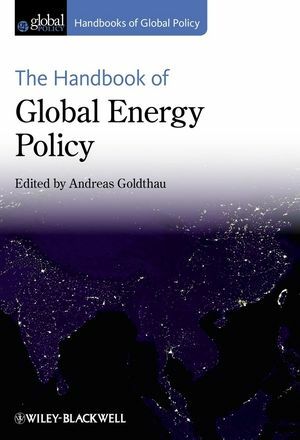 Handbook of Global Energy Policy. London: Wiley Blackwell; 2013. p. 98-112. Csaba L. Hungary. The Janus-faced Success Story of Transition. In: Fosu A, editor. Developmental Success- Experiences from More Advanced Economies. Oxford-New York: Oxford University Press; 2013. p. 254-76. Kahanec M, Kurekova L. European Union Expansion and Migration, Vol. 1. In: Ness I, editor. The Encyclopedia of Global Human Migration. Hoboken: Wiley - Blackwell Publishing; 2013. Kahanec M. Labor Mobility in an Enlarged European Union. In: Zimmermann KF, Constant A, editors. International Handbook on the Economics of Migration. Cheltenham: Edward Elgar; 2013. Vidra Z. A szakképzetlen bérmunka szerepe falusi romák megélhetési stratégiáiban (Unskilled manual labour in the self-sustaining strategies of disadvantaged people living in segregated rural areas). In: K. K, M.M. V, editors. Hátrányban vidéken. Budapest: Argumentum; 2013. p. 57-74. Sándor J, Varjú M. Az embrionális őssejteken végezhető kutatások és az ezeken alapuló találmányok etikai aspektusai. In: Kőmüves S, Rózsa E, editors. A személy bioetikai kontextusa. Debrecen: Debrecen University Press; 2013. p. 98-134. Sándor J. Ethical and legal debates on a dignified end-of-life and the role of the family in Hungary. In: Kőmüves S, Rózsa E, Callus T, editors. Families and End–of–Life Treatment Decisions: An International Perspective. Brussels: Bruylant; 2013. p. 211-21. Farkas K. A sense of reality. In: MacPherson F, Platchais D, editors. Hallucination : philosophy and psychology. Cambridge: MIT Press; 2013. p. 399-417. Betegh G. Pythagoreans and the Derveni Papyrus. In: Sheffield F, Warren J, editors. Routledge Companion to Ancient Philosophy. London: Routledge; 2013. Csaba L. Haladás vagy hanyatlás? avagy miért marad le Magyarország? In: Muraközy L, editor. Földobott kő? Tények és tendenciák a 21.században. Budapest: Akadémiai Kiadó; 2012. p. 282-312. Pető A. Három háborús bűnös nő élettörténetének tanulsága. In: Bartha E, Varga Z, editors. Határokon túl. Tanulmánykötet Mark Pittaway emlékére. Budapest: L'Harmattan; 2012. p. 248-64. Kurowska X, Pawlak P. The Fog of Border. The Fragmentation of EU's Border Policies. In: Kaunert C, Léonard S, Pawlak P, editors. European Homeland Security: A European Strategy in the Making? Abingdon: Routledge; 2012. p. 126-44. (Contemporary security studies). Matei L. A Policy Gap: Financing in the European Higher Education Area. In: Curaj A, Scott P, Vlasceanu L, Wilson L, editors. European Higher Education at the Crossroad. Between the Bologna Process and National Reforms. Heilderberg, New York, London: Springer; 2012. p. 667-90. Pető A. Women and Victims and Perpetrators in World War II: The Case of Hungary. In: Rogen M, Leiserowitz R, editors. Women and Men at War. A Gender Perspective on World War II and its Aftermath in Central and Eastern Europe . Osnabruck: Fibre Verlag; 2012. p. 81-97. Kurowska X, Kratochwill F. The Social Constructivist Sensibility and Research on Common Security and Defence Policy. In: Kurowska X, Breuer F, editors. Explaining the EU's Common Security and Defence Policy. Theory in Action. Palgrave Macmillan; 2012. p. 86-110. Siefert M. Co-Producing Cold War Culture: East-West Film-Making and Cultural Diplomacy. In: Romijn P, Scott-Smith G, Segal J, editors. Divided Dreamworlds? The Cultural Cold War East and West. Amsterdam: Amsterdam University Press; 2012. p. 73-94. Várady T. The Impact of the East-West Divide on International Law – Patterns of Discourse and the Waves of 1989. In: Crawford J, Nouwen S, editors. Select Proceedings of the European Society of International Law. Oxford and Portland : Oxford Press; 2012. p. 31-43. Calian FG. Plato’s Psychology of Action and the Origin of Agency. In: Šajda P, editor. Affectivity, Agency and Intersubjectivity. Budapest: L'Harmattan; 2012. p. 9-22. Rabinowitz D. Security, Identity and the State at Times of Borderline Disorder. In: Donan H, Wilson T, editors. The Blackwell Companion to Border Studies. Hoboken: Wiley-Blackwell; 2012. p. 301-17. Csaba L. Perspectives for the Euro-Zone: Consolidation,Collapse or Muddling Through? In: Latoszek E, editor. European Integration in the New Global and Regional Setting. Warsaw: WWZ Univerity Publisher - Ministry of Higher Education; 2012. p. 73-90. Székely I. The right to forget, the right to be forgotten. Personal reflections on the fate of personal data in the information society. In: Gutwirth S, Leenes R, de Hert P, Poullet Y, editors. European Data Protection: In Good Health? Springer Science+Business Media B.V.; 2012. p. 347-63. Miller M. Numerus clausus Exiles: Hungarian Jewish Students in Inter-War Berlin. In: Karady V, Nagy PT, editors. The Numerus clausus in Hungary: Studies on the First Anti-Jewish Law and Academic Anti-Semitism in Modern Central Europe. Budapest: Pasts Inc. Centre for Historical Research; 2012. p. 206-18. (Research Reports on Central European History). Matei L. Country paper on contexts and trends in graduate education: Hungary. In: Kent JD, McCarthy MT, editors. Global perspectives on career outcomes for graduate students. Tracking and building pathways. Washington: Council of Graduate Schools; 2012. p. 208-2015. Siefert M. East European Cold War Culture(s)? Commonalities, Alterities and Film Industries. In: Lindenberger T, Payk M, Vowinkle A, editors. 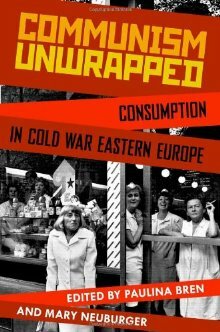 Cold War Cultures: Perspectives on Eastern and Western European Societies. New York: Berghahn Books; 2012. p. 23-54. Pitluck AZ. The Silence of Finance and Its Critics: Portfolio Investors in the World-System. In: Babones S, Chase-Dunn C, editors. Routledge International Handbook of World-Systems Analysis. London and New York: Routledge; 2012. p. 206-14. Krizsan A, Skjeie H, Squires J. Institutionalizing Intersectionality? A Theoretical Framework. In: Institutionalizing Intersectionality. The Changing Nature of European Equality Regimes. Basingstoke: Palgrave MacMillan; 2012. p. 1-32. (Gender and Politics). Islamic Banking and Finance – Transplantable Models from Malaysia to the EU? In: Durham CJW, David KM, Tore L, Messmann S, editors. Islam and political cultural Europe . Farnham: Ashgate; 2012. p. 189-214. Schmidt P, Lilliestam J, Fürstenwerth D, Battaglini A. Electricity for growth and jobs in Tunisia: exploring the nuclear and renewable electricity options. In: Tunisia: Economic, political and social issues. Hauppage: Nova Science Publishers; 2012. p. 31-62. Astrov A. The "Politics of History" as a Case of Foreign-Policy Making. In: Miller A, Lipman M, editors. The Convolutions of Historical Politics. Budapest: CEU Press; 2012. p. 117-40. Astrov A, Morozova N. Russia: Geopolitics from the Heartland. In: Guzzini S, editor. The Return of Geopolitics in Europe? Social Mechanisms and Foreign Policy Identity Crises. Cambridge: Cambridge University Press; 2012. p. 192-216. (Cambridge Studies in International Relations). Roe P. Societal Security. In: Collins A, editor. Contemporary Security Studies. 3rd ed. Oxford: Oxford University Press; 2012. p. 164-81. Pitluck AZ. Islamic Banking and Finance: Alternative or Façade? In: Knorr Cetina K, Preda A, editors. Handbook of the Sociology of Finance. Oxford: Oxford University Press; 2012. Fumagalli M. Politica elettorale e ritorno della democrazia in Kirghizistan. In: Torri M, N. M, editors. L’Asia nel triangolo delle crisi giapponese, araba ed europea. Bologna: Emil; 2012. p. 71-86.